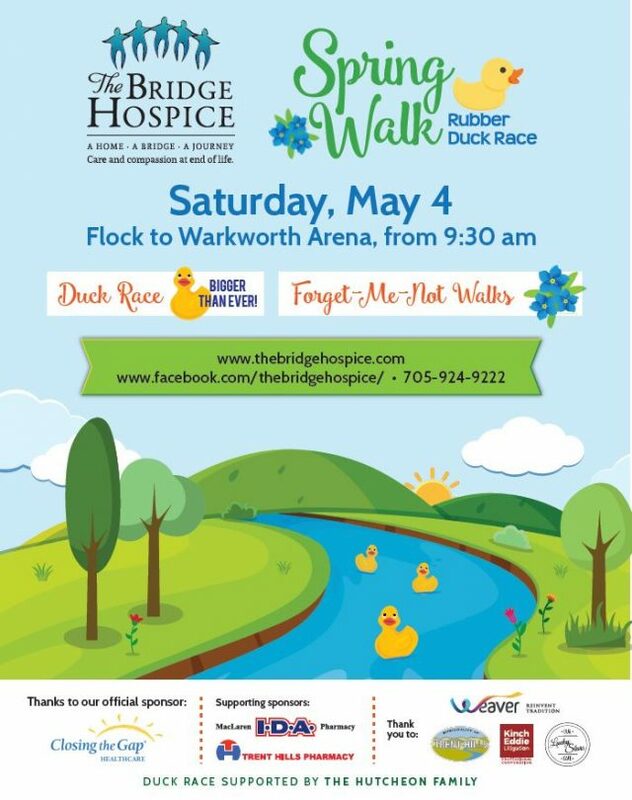 Spring Walk & Duck Race! 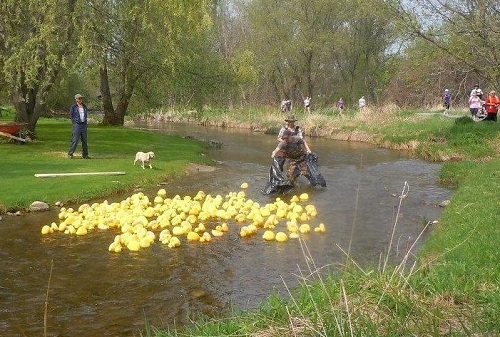 A delightful duck race and forget-me-not walks of 2.5K or 5K. This is a beautiful opportunity to walk in memory of someone special and plant flower seeds if you wish. with family, friends or co-workers. 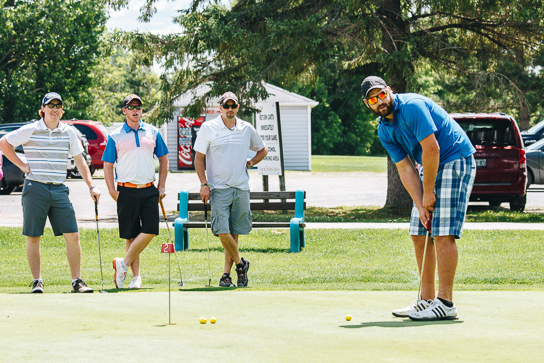 It’s easy – no registration fee. Please gather pledges or simply donate on the day. And don’t get left out of the daffy duck drama! Just $5/ticket gets you in the swim. Cash prizes for 1st & 2nd place. The Bridge Hospice, Our Lucky Stars Cafe and through many hospice volunteers. 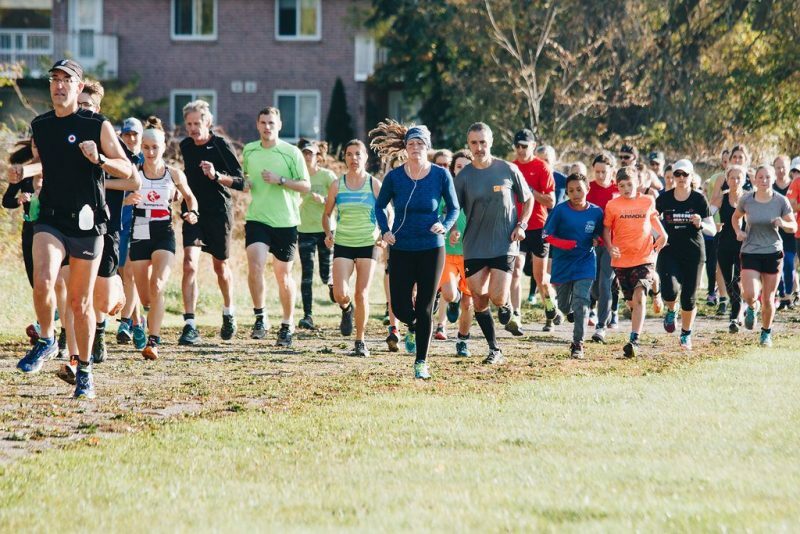 WALK, GOLF & RUN WITH US IN 2019!